You (don’t) got it, dude. 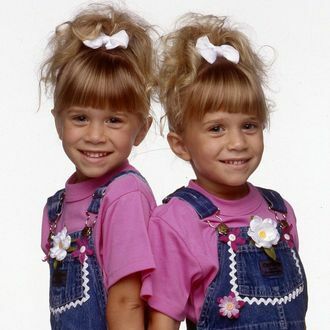 After three seasons of trying to entice Mary-Kate and Ashley Olsen to reprise their role, however briefly, as Michelle Tanner on Netflix’s Fuller House, the sitcom’s creator has finally come to terms with the fact that it’ll simply never happen. “Personally, I’ve given up asking them,” Jeff Franklin explained to TVLine. “The door is open, but I’m not going to be calling them anymore to invite them. They just don’t seem interested in coming. It’s been three years of invitations, so they know the door is open. It’s up to them to decide if they want to come play or not.” For those out of the former-child-star loop, the Olsens have eschewed acting careers over the past decade to focus on running their successful fashion lines and marrying wealthy Frenchmen, although the duo were mulling over a potential guest appearance during Fuller House’s first season. Maybe when Fullest House comes along, then?